Actor Jason Lee and myself exploring the faded glory of what once was a desert resort on 1969 and 2012 Triumph motorcycles. 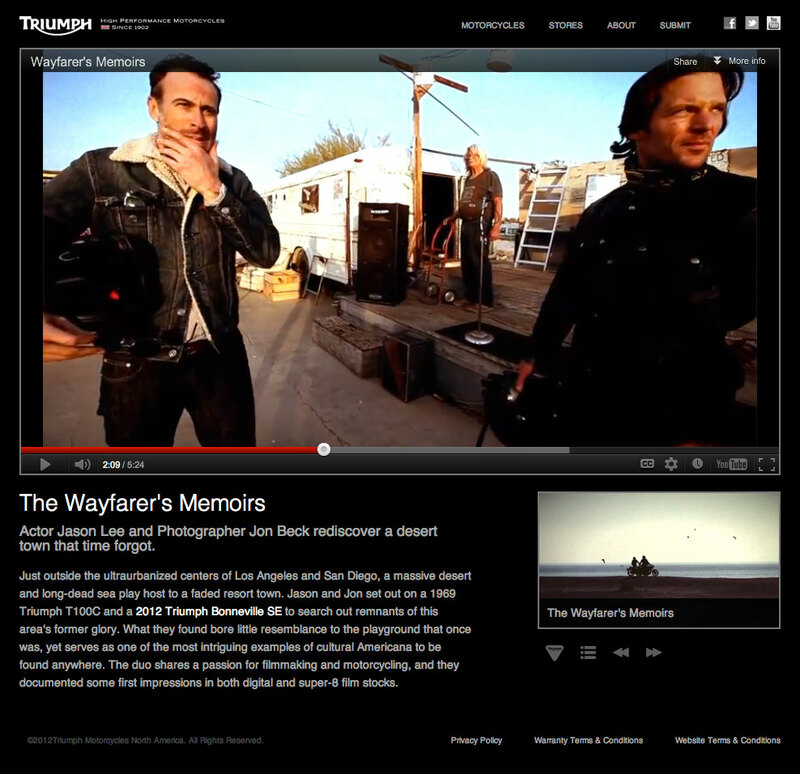 The Wayfarer's Memoirs from Jon Beck on Vimeo. 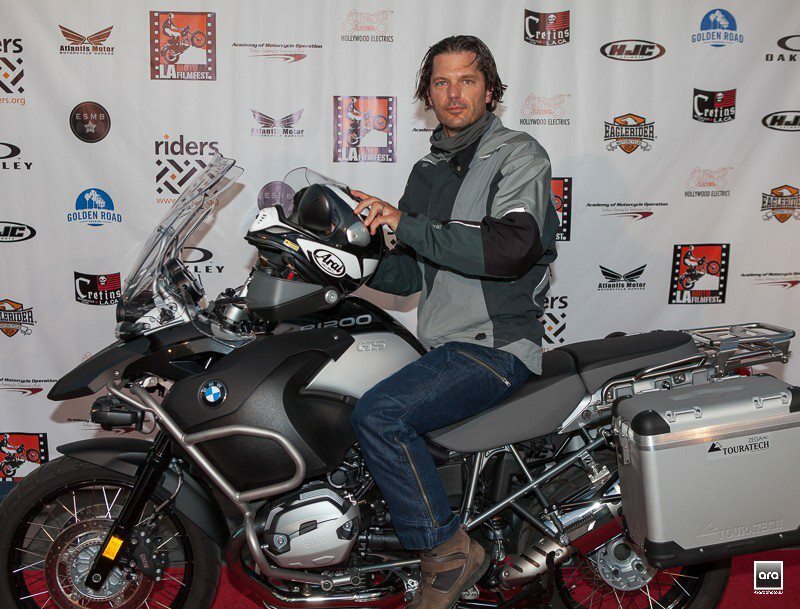 The short was one of two films I had featured in the LA Moto Film Festival. Fun time!